Inspired by the Japanese tea ceremony, MatchAtria e x t e n d e d is a multimedia dance installation, which invites the audience into a unique and intimate contact with the heart. A pulsating universe of dance, music and soundscapes. To experience seeing, hearing and with haptic perception. Wed, 18th February 2015 – 8 p.m.
Thu. 19th Feb. – 6 p.m., 8 p.m.
Fri. 20th Feb. – 6 p.m., 8 p.m., 10 p.m. Sat. 21st Feb. – 6 p.m., 8 p.m.
Sun. 22nd Feb. – 4 p.m., 6 p.m., 8 p.m.
Advance booking required: each performance is strictly limited to 30 guests. Born in Japan. She studied Classical Ballet, Jazz, Hip-Hop and contemporary dance, acting and singing. She danced in the companies of H.art.chaos (1998-2000), Kota Yamazaki/Rosy, co (2000-2002) and Motoko Hirayama (2007), performing in Japan, the USA and Europe. She choreographed for the opening festival of East Asian Olympics 2001 and has also worked with music videos, TV-CF films, concerts and fashion shows. Between 2001-2003 she worked as a choreographer and performer with the “media drive unit 66b/cell". Together with this multimedia performance group, she was invited to perform at ARS Electronica (Linz), Seoul International Dance Festival and Japan Virtual Reality Conference, etc. Since 2005 she works in Berlin. She performed in the companies of Ismael Ivo, Helena Waldmann, NICO AND THE NAVIGATORS, Michaela Lucenti, Darren Jonston and Tomi Paasonen, among others. Her own pieces have featured at a number of international festivals. In 2006 she received the Jury’s Prize at the Yokohama solo-duo competition. In 2008 her Solo REM − Black Cat was presented in New National Theatre Tokyo. Since 2008 she works in collaboration with the Jazz pianist Aki Takase. She is also engaged in research projects with a sociologist and a cognitive scientist. Together with them she developed the projects "HEREing Loss"(2006-2008) and „Heartbeat Picnic“(2010-). She belongs to the original casts of the cross over project "Red Bull Flying Bach“, by Christoph Hagel and Flying Steps, as show’s only female dancer. The show awarded with the highly reputed “ECHO Klassik Sonderpreis 2010“ and is touring around the world. 2010 her solo performance "andropolaroid“ won the Dance Price Cologne. 2013 she presented "Cadenza-Die Stadt im Klavier V" with Jazzpianistin Aki Tasase. Born in Kyoto, JAPAN, to a family of traditional Kimono-textile designers. He studied Visual Art at the Kyoto City University of Arts in Japan and The Royal College of Art (RCA) in UK. In 1996 he founded the visual performance unit Kyupi Kyupi, and was invited to perform at Palais de Tokyo (Paris, FRANCE) and Tate Modern (London, UK) in 2003, among other places. Ishibashi also creates many TV shows and films, like the 2000 television show “Vermillion Pleasure Night.” This program featured among its wacky sketches “Oh, Mikey!” (aka “The Fuccons”), chronicling the surreal adventures of an American family in Japan, all portrayed by mannequins was invited to the Berlin International Film Festival. In 2011, he produced "Variable" at the Kyoto Experiment Festival, which successfully represented the Japanese traditional performing art (Noh-theater, Japanese dance, Japanese percussion etc.) in combination with high technological visual effects. 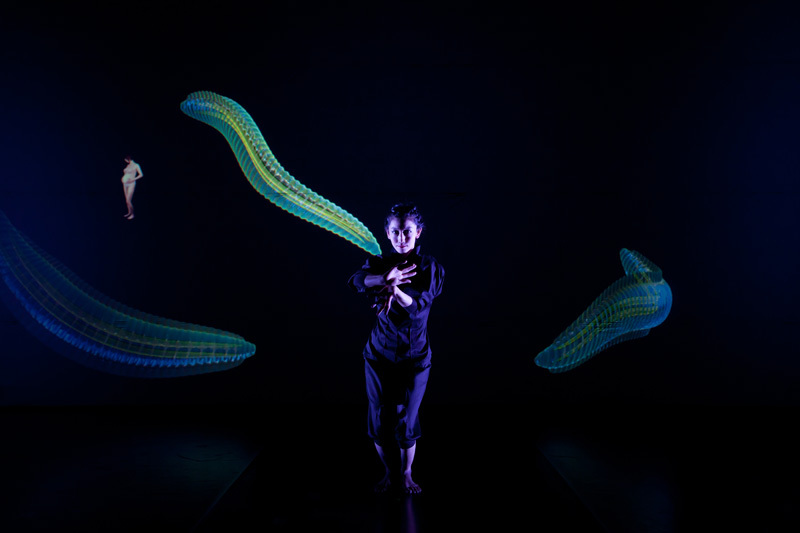 In the latest Kyupi Kyupi highly acclaimed production "Atmesppai" (2012) was encompassing all sorts of visual media (2&3D projection, laser lighting or live visual feedback etc. ), virtual and live musicians, contemporary dancers and huge stage set-like costume. His latest feature film “Milocrorze”(2012) has been invited to various film festivals all over the world and has won many awards. Where am I, and, if so, who? A voice begins to quietly whisper something in our ears, pattering noises are audible, we are sprayed with stars, and in the midst of this storm of stars, which soon turns into a journey to the inside of a heart, Yui Kawaguchi dances. Kawaguchi has created an outstanding concept: she brings 3D imagery and live performance into direct contact with each other and peppers the show with different questions… what remains is this curious shifting between Japanese exotica, which Kawaguchi uses in a completely ironic way; the senses – with the heart beating in your hands even without being connected to the dancer – and the incredibly poetic flood of images. Where am I? And, if I have been found: Who am I? Who would still be able to give a firm answer to that in the digital age? Yui Kawaguchi proceeds to take us with her on a journey – through the universe as well as through the microcosm of the body. Tea is not actually poured out, but you do hear whispers, now in the right, now in the left ear, and the gurgling of the drink flowing into clattering cups. Announcements are made, steps resound. 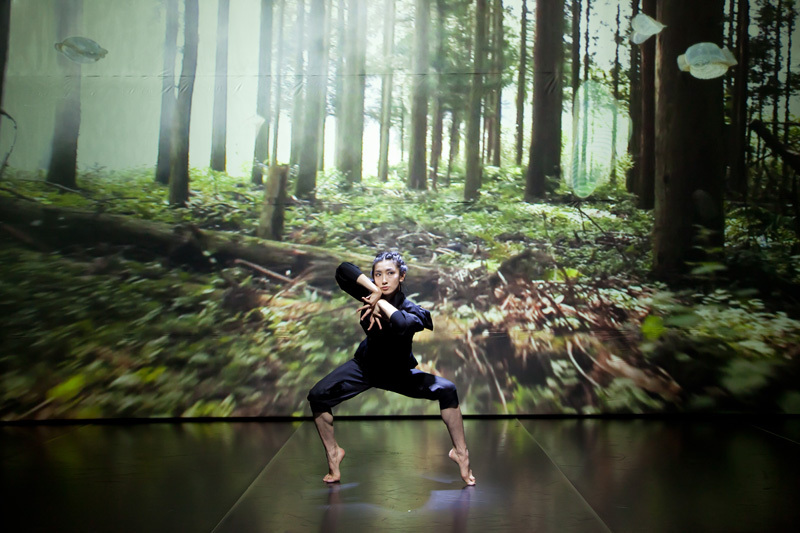 The dancer greets you kneeling in the Japanese style, while in the film bubbles fly around her and surge into the surrounding space. The hearts in our hands light up as does a glass ball next to Kawaguchi. She absorbs the soundscape as if it were a musical score - whether it be a creaking door or a pitter-patter - and converts it into gestural movement, sinuously, contemplatively; in the film of red flakes, blood cells perhaps, she is wafted about…The only thing that is alive in this virtual world is the dancer, and everything we see, hear, feel, shows how she is connected to her corporeality: a unique experience which merges everything into a single entity…For a moment however something came about that every performer on stage would wish for themselves: the merging of the stage and the auditorium to form a pulsating collaboration. You find yourself wanting to be present at it for longer. Who would have thought that 300 grams of silicon sitting in your hands could give rise to so many emotions? …What sounds cold and technical soon establishes an unexpected intimacy with the dancer: it is her heartbeat that pulsates in our hands!..It is a multimedia performance and from the off it launches an assault on the senses. The headphones create a surround sound in your ears and the 3D glasses you wear cause the video projections to curve vividly into the space around you. Figures atomise into a thousand particles, then the dancer’s body plunges again into a swarm of swirling cells, at another point the camera flies elegantly through forests and over the sea. Macro meets micro, the interior complements the exterior…There exists in Japanese the expression “Ichigo Ichie”. It is taken from Zen Buddhism and means something like “unique opportunity”, exactly what each tea ceremony seeks to celebrate. At the end of “MatchAtria” it is exactly this impression that arises: we have enjoyed Japanese hospitality in the form of a very special performance. The beauty of this dancer’s performance is very real. And unreal. Since the spectator, although sitting in the theatre, is wearing headphones for the ultimate surround sound experience, and glasses for optimum 3D effects. And he holds the dancer’s heart in his hands. At least a very precise model of the human pump, made out of plasticine. Yui Kawaguchi dances, draws a stethoscope towards her, holds it to her breast. At this point a realistic 300 grams of live weight in my hand stirs, the artificial heart pulsates beneath my fingers. Instinctively you grasp the soft organ tighter, startled. Your own pulse even beats faster. And yet I am only holding onto a throbbing beatbox connected with a cable. Aren’t I? 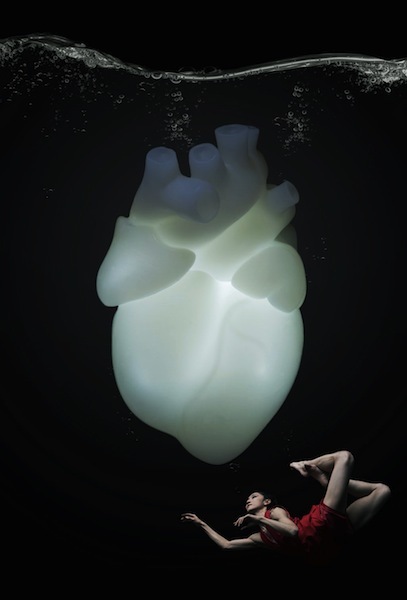 ...A shudder goes through your body when the heart starts to jitter in your hands, this marvel by Junji Watanabe, a researcher who has devoted his life to the tactile sense: the only sense that dance can never really come close to. That is, if you haven’t experienced it the way Yui Kawaguchi does it. Fear, pity, the whole theatrical arsenal flows through your fingertips. A production by Yui Kawaguchi and Yoshimasa Ishibashi. Coproduced by Sophiensaele, Blueproject Barcelona, FFT Düsseldorf and Ma scène nationale - Pays de Montbéliard. Funded by the Berlin Senate – Cultural Affairs. 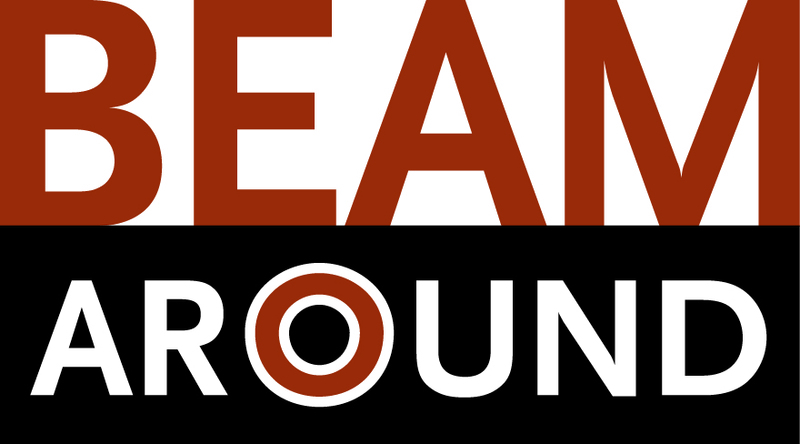 Supported by Sennheiser, Beamaround, Coolike and Dock11 Berlin. In co-operation with Nico and the Navigators. First edition was Supported by Japan Foundation, Moomentary and SPS KAKENHI Grant Numbers 23300317 and 24520106.